The recent Faceoff in strategically important India-China-Bhutan border triangle near Doklam Plateau, commencing with Chinese road construction activity in Bhutanese territory (As per laid down agreements and treaties), obstruction by Indian troops and destruction of two Indian bunkers, has been widely discussed and analysed. An effort is being made to address certain unanswered questions and suggest a way forward. The current faceoff has different strategic dimensions. 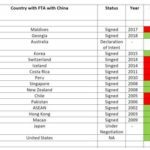 Despite Bhutan issuing a demarche to China to stop further road building into their territory, China continues to do so aggressively. 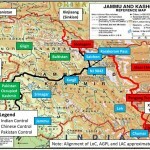 While the diplomats of China and India have been claiming that talks to reach an agreement demarcating the border between both countries have been going on smoothly for so many decades, and continue to claim so, the reality is that unlike LC (between India and Pakistan, identifiable on ground), the Line of Actual Control (LAC between India and China, is not finalized and demarcated on ground. The troops of both sides continue to patrol the areas as per their own perception of LAC, which clashes with each others’ perception leading to claims and counterclaims of transgression from both sides quite frequently (a fact admitted by China as well). The media activeness keeps highlighting it at varying scales both sides (Depending on their degree of freedom of speech). The current faceoff has different strategic dimensions. Despite Bhutan issuing a demarche to China to stop further road building into their territory, China continues to do so aggressively. 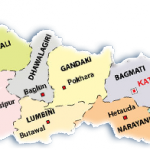 It violates the understanding of 2012, of no unilateral change of status quo at strategic tri-junction of border of the three countries. 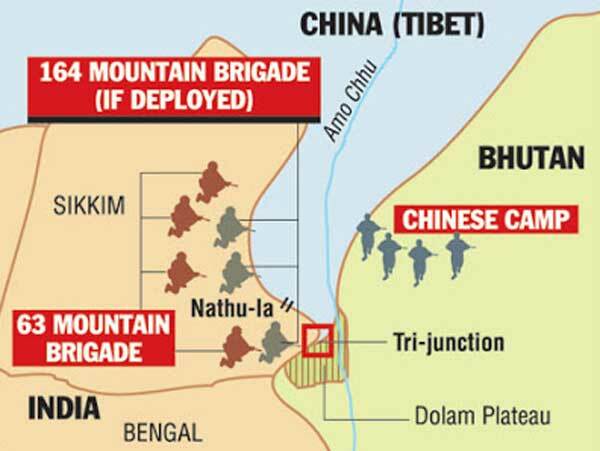 India has a compulsion to react, because, besides honoring its arrangement to provide security to Bhutan, it has to prevent this attempt of Chinese to expand their military deployment space in Chumbi valley by encroaching Bhutanese territory, which presently is a vulnerability for China due to inadequate deployment space. If India does not react, China will expand Chumbi Valley, induct more troops, reduce its vulnerability and increase the threat to Siliguri Corridor/Chickens Neck as explained in various articles/news items. Another factor which makes it different from normal transgression incidents is the sequence of events and the timing of incident. While India boycotted Belt and Road Forum as CPEC impinges its sovereign territory, despite China’s warning of it getting isolated, India not only proved that it cannot be pressurized, it follows its independent foreign policy, and also proved that it has the clout not to be isolated. There have been a chain of issues of divergences like NSG, JeM Chief, South China Sea etc, but the commercial engagements and other points of convergence have prevailed on continuing with healthy engagements. This incident flared immediately after successful meeting of Prime Minister Modi, and the joint statement which followed indicating strengthening of strategic partnership, mention of terror harboring of Pakistan, Malabar exercises, North Korea etc seem to have made China uncomfortable. This not only added to the biggest problem in India China relationship, which is “Trust Deficit”, but seems to have added to insecurities of China. To learn from history, China has to realize that Qing dynasty is not the benchmark, which the world can be forced to follow. • India of 2017 is China’s strong neighbor which has and will continue to follow an independent foreign policy. China and India will have to acknowledge the growing economies, consumer markets, growing CNP and adjust to deal with each other. • To learn from history, China has to realize that Qing dynasty is not the benchmark, which the world can be forced to follow. If India claims entire Pakistan as its territory based on pre 1947 history, the world will call it naïve and irresponsible. • Indian Army is battle hardened and has not lost any war after 1962. Even 1962 was an aberration based on some political and strategic miscalculations. PLA on the other hand after a ‘Not so Impressive show’ in 1979, is yet to have any operational experience. The modernization drive based on other Armies experiences do not make a force operationally experienced, because it is the man behind the gun, which matters. • Only a professional Army tries to prepare for all contingencies. The Indian Army Chief’s remark is a professional statement for preparedness of own forces, and needs to be read in that context. The Indian Defence Minister has adequately clarified that India of 2017 is different from 1962. • Any military, howsoever big or modern, on being arrogant can be surprised. Hitler’s downfall started when he thought he can conquer the world. Even US had to struggle in Vietnam. In my opinion/prediction, the history has a lesson that if someone can prevent China’s rise, it will be only over ambition of China itself. • The Indian Defence Minister has adequately clarified that India of 2017 is different from 1962. Looking ahead China and India cannot ignore the fastest growing economies, and largest consumer markets of each other, if they have to fulfill the dreams of their people. The statement of Lu Kang, the Chinese foreign ministry spokesman to say “The diplomatic channel for communication remains unimpeded. We urged the Indian side to withdraw troops back to the Indian side of the boundary immediately. This is the precondition for the settlement of this incident and also the basis for us to conduct any meaningful dialogue”. This is not in sync with Chinese declared economic goals,and is detrimental to growth of Rising China and Rising India. Notwithstanding the above, the fact is that both countries will continue with their rising status, and no one can dictate terms to other. As both countries follow their independent foreign policy, and will continue to have bilateral and multilateral relations with other countries as per their own national interest. 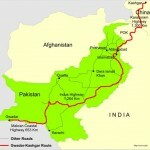 The construction of road by Chinese should stop immediately, honoring sovereignty of Bhutan and Trilateral agreements. Any assertiveness by anyone or any attempt to change status quo will not improve relations, which is not good for long term goals of both countries. • The diplomatic interactions should start immediately setting aside hard stands and rhetoric’s. • The construction of road by Chinese should stop immediately, honoring sovereignty of Bhutan and Trilateral agreements. • Once status quo is achieved, military of both sides should pull back to pre standoff positions. The sequence can be worked out by the diplomats. • Mansarovar Yatra can be resumed thereafter. Chief Instructor, United Service Institute of India. Trump-Kim Summit II – Is Resolution Really Possible? CHINESE MAAL! KYA BHAROSA? INDIA HAS MORE MEN CHINA HAS WEMEN!THEY SHOULD THINK ABOUT THIS GENDER inequality AND NOT FIGHT. The statement that – ” The Indian Defence Minister has adequately clarified that India of 2017 is different from 1962.” – can be simplified further for PRC sake. India today is no longr governed by the PM of 1962 or the fruit of his loins. You nibble we break your teeth. You bite, we chop your head off. Is it so tough ? Why is India silent on the pilgrim issue when PRC is up on a pedestal and issuing sermons after adopting Holier than Thou attitude ? It reminds one of the same mindset of the era of Nehru-Menon (1950-62), that India will deal with the border issues with China diplomatically when Krishna Menon was admonishing his generals who were warning him of impending Chinese aggression in the Himalayas. Please read in this context the brilliant article by Lt Gen SPP Thorat which appeared in a Calcutta Statesman’s supplement (1963) in the aftermath of the 1962 debacle. Gen Thorat pointed out the repeated Chinese incursions and the skirmish in Kongka Pass and other cases which the Delhi simply overlooked taking a compromising position instead of confronting the Chinese militarily then and there. Well, this holds true for China also with her far superior present military infra- structure in Tibet ! Gee, hasn’t India sacrificed Chamb in 1971 war with Pak? The Kargil fiasco showed how well prepared the Army was, and even more, some of the posts are still lost to Pak in spite of the official claim to the contrary. That Yatra has been going on for more than a thousand years where in the past Indians never needed permission of China to go to there since that land was not under Chinese sovereignty. I wonder when the Indian Army is going to get rid of its present perception and acknowledge the reality that Tibet was invaded by China in 1949 and China has no case to make for Indo-Tibet border including the Yatra.